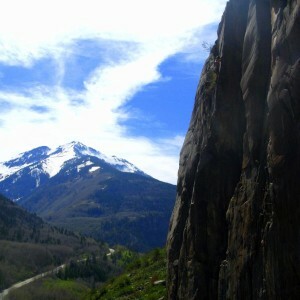 Our headquarters in Telluride, CO is surrounded by numerous types of rock and all styles of climbing. From single pitch top rope outings to long, multi-pitch, traditional routes that climb up close to a thousand feet of rock, we offer the best in guided Telluride rock climbing. These trips usually consist of half or full days and we can accommodate all levels of experience from the seasoned hardman to families looking for an exciting day in the hills. 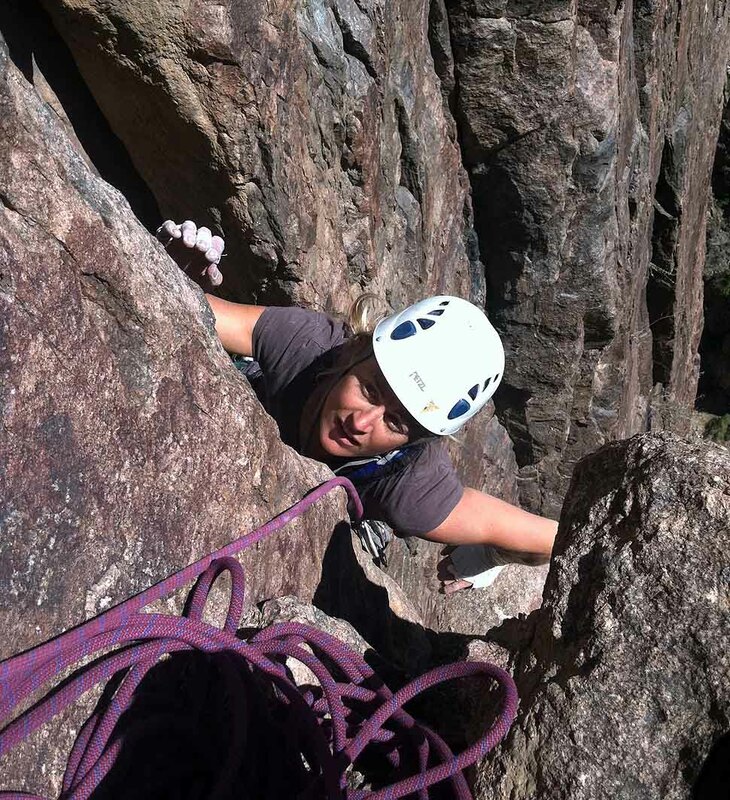 All of our Telluride rock climbing trips provide the requisite equipment, including helmets, harnesses, any needed gear, and climbing shoes. 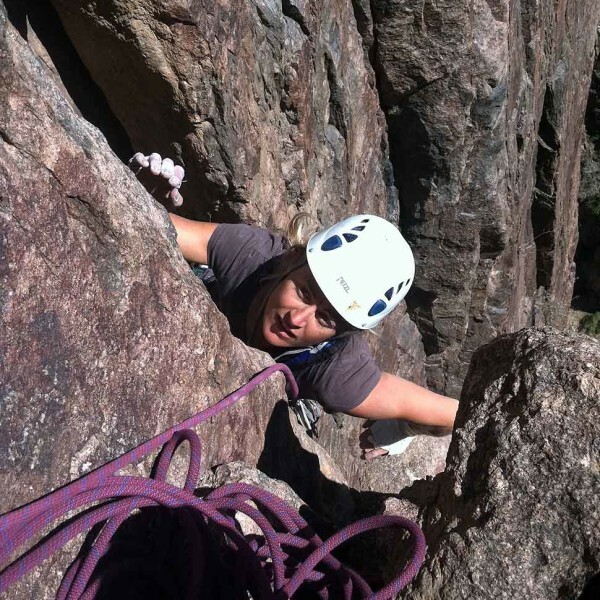 We also offer rock climbing courses for people looking to learn the basics or to hone your skills in order to better achieve your personal goals, be they heading off on an endless climbing road trip or scaling the big walls of Yosemite. 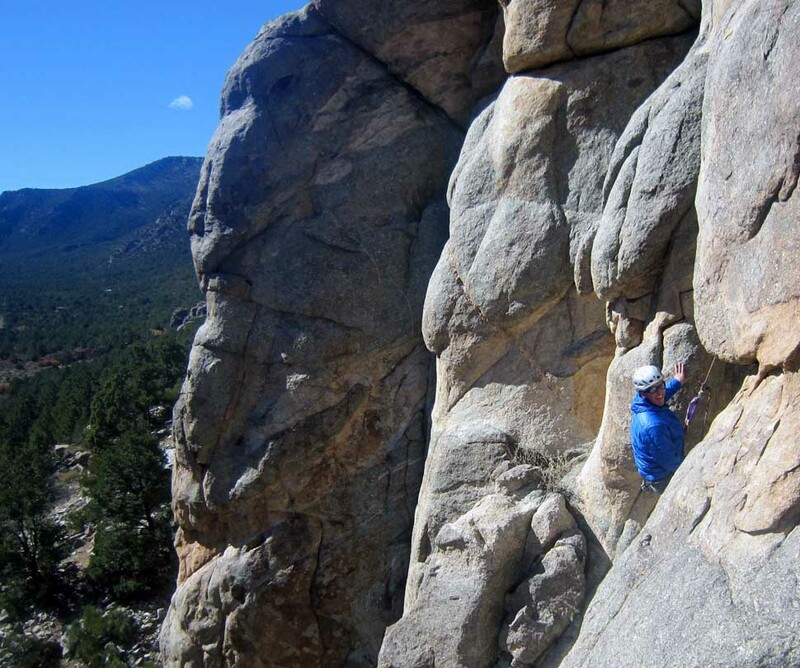 Route grades in our area run from the very moderate to 5.13 and harder. 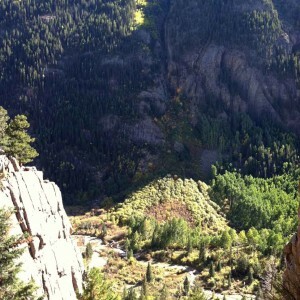 The following is a general list of required gear for a day of Telluride rock climbing with Mountain Trip. As part of your trip fee, we will happily provide all technical equipment; however, you are welcome to use your own equipment as well. Many of the items on the list need to fit you well in order for you to fully enjoy your experience on the trail. Please plan ahead with clothing and footwear purchased for your hike so you can be certain that your gear fits you well. 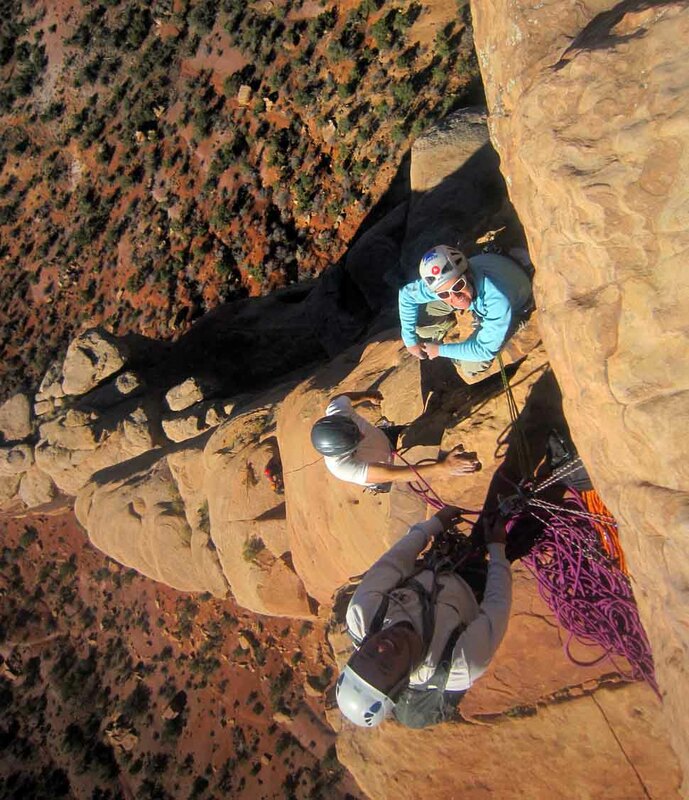 Rappelling from the top of Hot Wee Wee is not the place to discover that your old rain coat is no longer waterproof! Call or email us with any gear questions. We want you to be as prepared as possible for your group travel adventure. Please follow this list closely and do not hesitate to call us for clarifications or to solicit an opinion about anything you are considering. 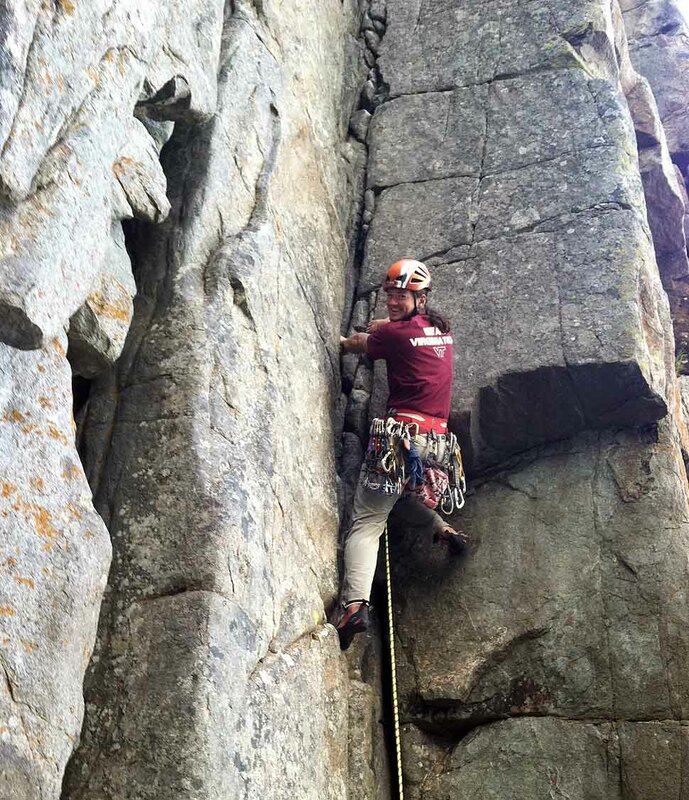 There is a good selection of rock climbing gear available in Telluride, but if you plan to purchase items from local shops, please plan ahead and order any items that are size specific. Trekking Shoes or Boots for Colorado Comfortable, well broken in trekking shoes or lightweight boots will make getting to the climbs much more comfortable. 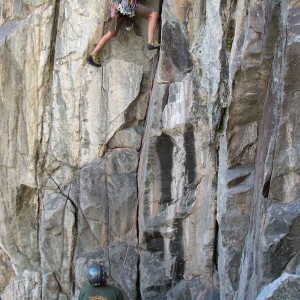 Many of our trails involve some light scrambling to reach the climbing areas. 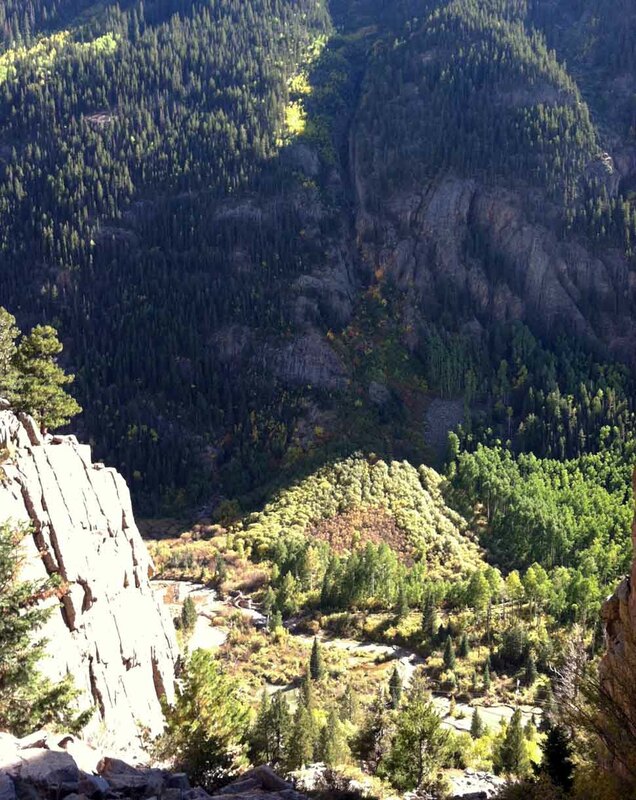 These trails are universally known as, “climbers trails” and are rarely maintained to the same extent as are other popular trails in the area. Climbing Pack Suitable climbing packs will be 30 - 45 liters in volume and have the capability of easily attaching crampons, and ice axes if used for a day of ice climbing. 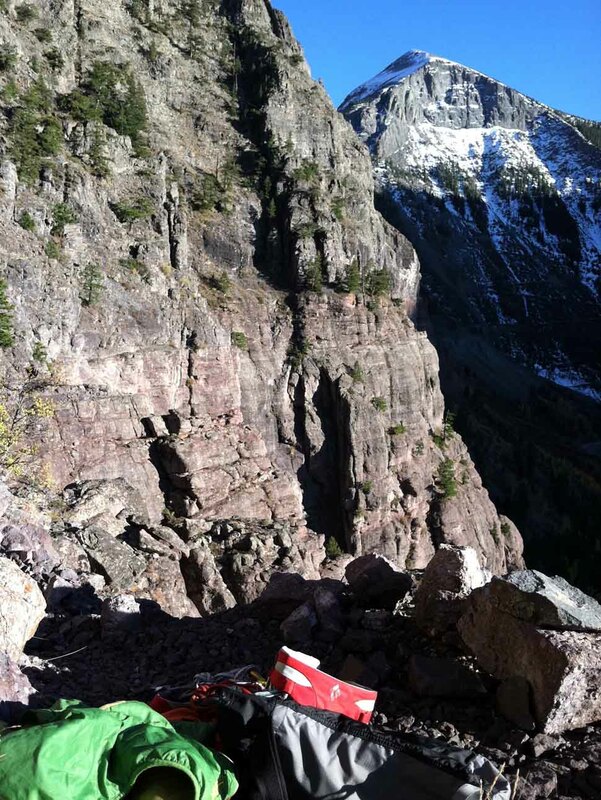 For a day climbs, any pack in the 30 - 45 liter range will work, you should consider the weight of the pack carefully. Alpine routes require larger (45L) packs that also let you strap your sleeping pad to the outside. [post_excerpt] => Comfortable, well broken in trekking shoes or lightweight boots will make getting to the climbs much more comfortable. 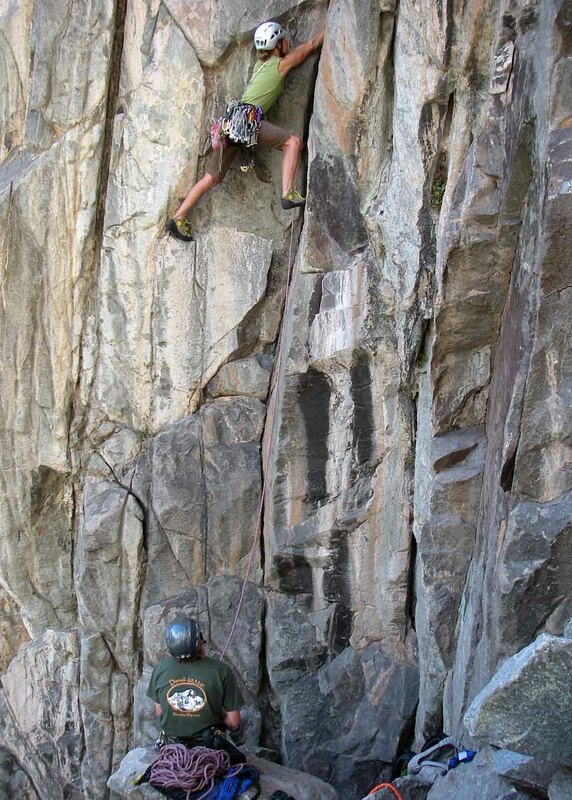 Many of our trails involve some light scrambling to reach the climbing areas. 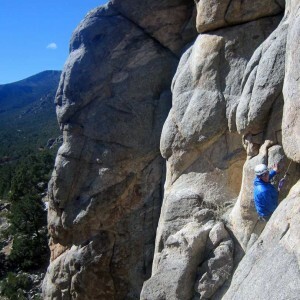 These trails are universally known as, “climbers trails” and are rarely maintained to the same extent as are other popular trails in the area. [post_excerpt] => Suitable climbing packs will be 30 - 45 liters in volume and have the capability of easily attaching crampons, and ice axes if used for a day of ice climbing. For a day climbs, any pack in the 30 - 45 liter range will work, you should consider the weight of the pack carefully. Alpine routes require larger (45L) packs that also let you strap your sleeping pad to the outside. 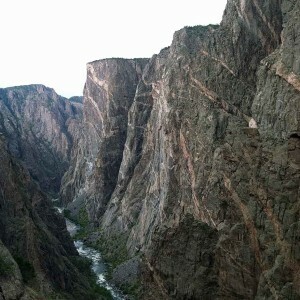 ***Mountain Trip is permitted to guide in the Uncompahgre and Gunnison National Forests. All or part of this operation is conducted on public lands under special permit of the U.S. Bureau of Land Management. We provide services and employment regardless of ethnic or cultural heritage, religious beliefs, sexual orientation or physical handicap. Mountain Trip recognizes how difficult and disappointing it can be for guests who must cancel climbs which they have planned for a long time. Guests must also recognize that, due to the nature of planning trips and contracting guides for specific dates, Mountain Trip also accrues significant expenses in organizing our excursions. We must therefore adhere to a strict refund policy for all guests. Trip cancellation and travel insurance is generally available for all excursions. U.S. and Canadian residents should contact us for more information regarding travel insurance. Our refund and cancellation policy is outlined below. • Mountain Trip reserves the sole right to cancel an excursion prior to the departure date for any reason, including weather and route conditions. In such an event, all monies collected by Mountain Trip from team members for that climb shall be promptly refunded. This is the extent of our financial liability. 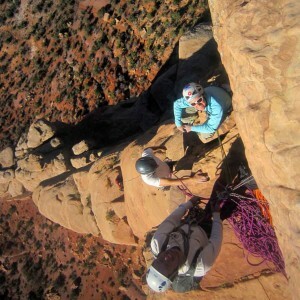 We will designate a specific Team Meeting Day for your climb. Transportation to the meeting point on your Team Meeting Day is to be provided by you, unless otherwise arranged with Mountain Trip. You must arrive in time to be ready to participate in a team meeting at the appointed time on the Team Meeting Day for your climb. This could mean you will need to arrive the day before, as it is often prudent to get an early start in the morning. 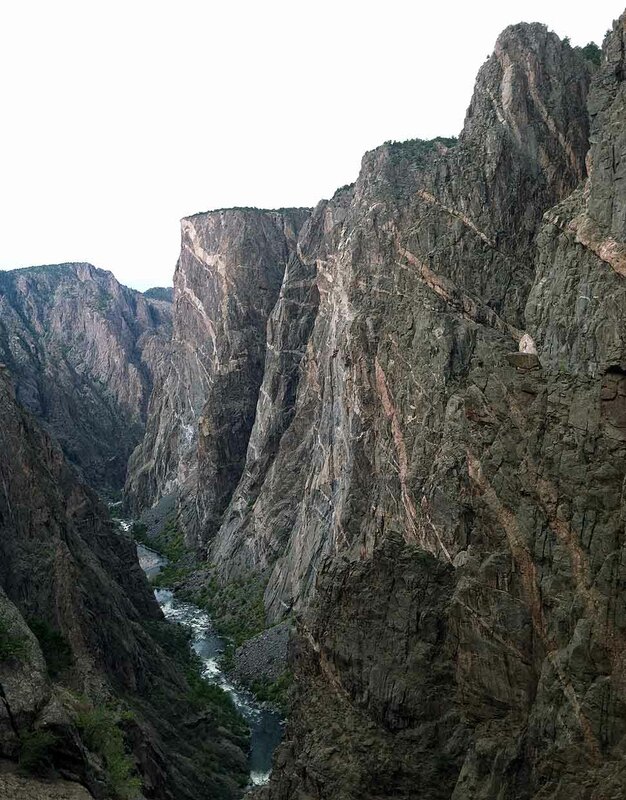 Climbing and trekking can be very dynamic and we will provide you with a recommendation as to when you should book your flights to and from your destination or how you might best arrange your travel to SW Colorado. If flying, we suggest you book a ticket that allows you to change your flight with little effort or cost. Mountain Trip will provide lodging per the Inclusions and Exclusions section above. Any additional lodging is your responsibility. 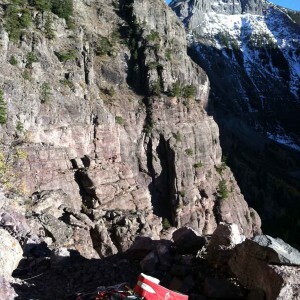 While visiting family in Telluride we were looking to get out and experience everything the area has to offer. 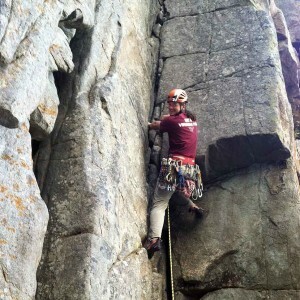 We contacted Mountain Trip to discuss the Via Ferrata and to also climb our first 14er on a backpacking trip. Mountain Trip was flexible, professional and above and beyond my expectations in terms of accommodating our needs to meet the goal of my son sumitting a 14er. Todd, Mountain Trip co-owner, took my daughters group up. He was extremely friendly, knowledgeable and accommodating on the Via Ferrata. They wanted to take photos and experience the “main event” thoroughly. Todd allotted ample time for the group to completely enjoy the day! The second discussion was a 14er. So later in the week Mountain Trip guide Fischer took myself, my daughter and my 13 year old son on an overnight trip to climb Wilson Peak. Fischer’s patience and reassuring guidance assured my son’s summit. Fischer provided professional and personal guidance that helped him to accomplish his goal. He is so proud. And I am extremely grateful! Mountain Trip deserves all that I can modestly give them.